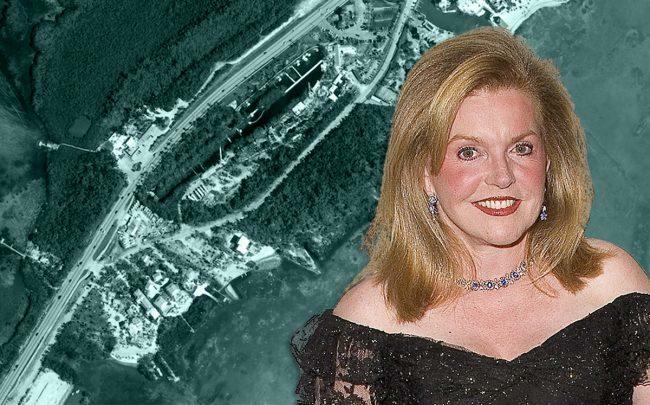 Brenda Nestor’s Islamorada property is hitting the market in a bankruptcy sale. The 8.4-acre stretch of oceanfront land on Windley Key is zoned for residential development. Avison Young’s John K. Crotty, Michael T. Fay, Jay Ziv, David Duckworth and Brian C. de la Fé are handling the sale of the vacant Islamorada property on behalf of the U.S. Bankruptcy Court. Qualifying bids of at least $1.835 million are due on March 25, according to a press release. The property is located at Old Highway at Mile Marker 84.5. Nestor filed for personal bankruptcy in 2017. Nestor is the former girlfriend-turned-business-associate of the late businessman and corporate raider, Victor Posner. She was named primary beneficiary of his $321 million estate in 2002, and has been entangled in a slew of litigation in recent years. In 2015, a Miami-Dade judge removed Nestor from that role after she allegedly disobeyed previous court orders. The judge said Nestor failed to provide a full accounting of her actions as the Posner estate’s personal representative, according to court documents. The judge replaced Nestor with Philip von Kahle, a lawyer and a broker with Fort Lauderdale estate planner Moecker & Associates. He hired Akerman to provide legal advice. Last year, Nestor filed suit against Akerman for breach of fiduciary duty, malpractice and civil conspiracy. Nestor alleged that she suffered damages as a result of “negligent and reckless” legal advice Akerman provided after she was removed from handling Posner’s estate. The suit was dismissed in November. The probate estate allegedly owed more than $46 million to Pension Benefit Guarantee Corp. and more than $8 million to the IRS, all of which built up while Nestor was handling the estate, the Daily Business Review reported in November. Property records show Nestor paid $300,000 for the Islamorada property property in 1992.